Shrenik serves its customers with variety of papers like copier, maplitho, coated paper, FBB board and a speciality paper commodity royal executive bond. 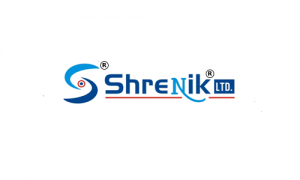 Apart from being the wholesale distributors, the company has its own brand named ―Shrenik. The company plans to include different varieties of paper products under the brand ―Shrenik like copier, sticker sheets, etc in near future. The company has a diversified customer base catering to various segments. It has consistent retention of key customer segments which has ensured it with around 3000-3500 customer base all over Gujarat and Rajasthan. Apart from procuring paper from local paper manufacturers and traders, it is also wholesaler distributor of Tamilnadu Newsprint and Papers Limited in Gujarat region, Asia Pulp and Paper in Gujarat and Rajasthan region. The company has association with its suppliers for supply of paper and hence does not anticipate any problem in procurement. Shrenik IPO allotment status is now available on Link Intime’s website. Click on this link to get allotment status. do youll have a branch here in jamshedpur jharkhand.